In this episode, Yahnathan concludes addressing this question from a R.E.A.L. 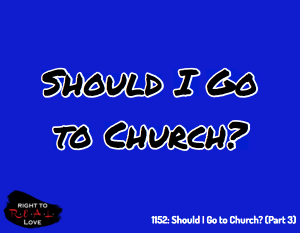 Lover in Indianapolis: Should I go to church? The danger of shaming and condemning someone who chooses not to go to church. The great responsibility that comes with choosing not to go to church. The importance of assembling and having community with followers of YAH whether we go to church or not.